Singapore’s property shares sold off in the wake of Monday’s budget announcement of an increase in the residential buyers stamp duty (BSD). The budget raised the stamp duty on the portion of residential property prices over S$1 million to 4 percent from 3 percent. It also included increases to proximity grants to families who wish to buy public-housing, or HDB, resale flats near or with each other. CapitaLand fell 1.38 percent to S$3.58 by 3:04 P.M. SGT, City Developments was off 2.25 percent at S$12.61 and UOL tumbled 3.02 percent to S$8.35. Wing Tai was off 2.22 percent at S$2.20 at 3:10 P.M. SGT. But in a note on Tuesday, RHB said the increase to the BSD shouldn’t dampen the housing market significantly. 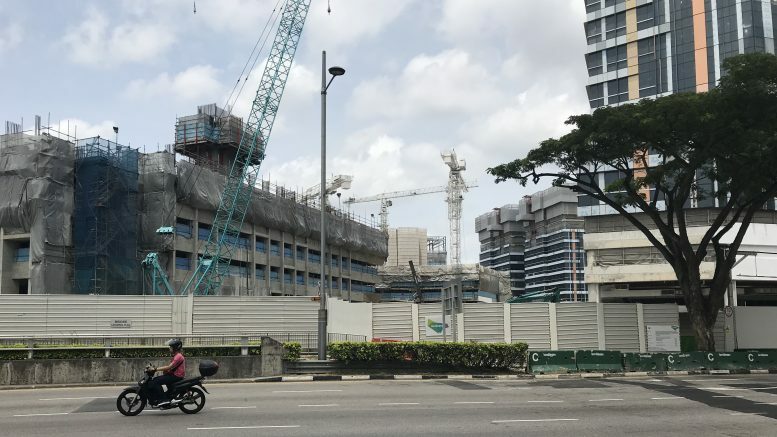 While RHB said the higher BSD would be slightly negative for demand for larger-sized units and high-end residential projects, it noted the size was still small compared with overall property prices. It kept its estimate for residential property prices in Singapore to rise 3 percent to 7 percent this year. “We assess that any weakness in share price for property developers would offer a good buying opportunity,” RHB said. Its top developer pick is CapitaLand, which it rates at Buy with a target of S$4.20. Additionally, RHB noted that the expanded proximity grants will likely boost HDB resale demand, which should help to boost its top pick, APAC Realty. It rates APAC Realty at Buy with S$1.20 target. Shares of APAC Realty were down 0.94 percent at S$1.05 at 3:21 P.M. SGT.